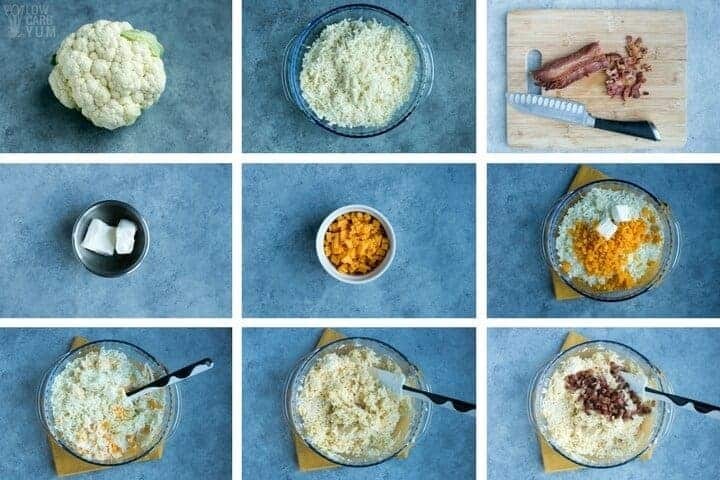 Only five simple ingredients and less than ten minutes are needed to whip up a delicious cheesy cauliflower rice. 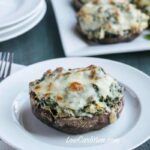 It makes a perfect keto meal. 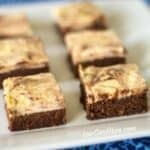 After reviewing the Keto in Five cookbook series in my keto brownies post, I started thinking that I need some more simple recipes on the site. 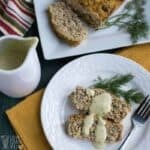 Well, it doesn’t get much easier than the recipe using cauliflower rice that I’m sharing today. I used a whole head of organic cauliflower and riced it in my food processor. However, you can also buy fresh or frozen cauliflower that’s already been riced. They even sell dehydrated riced cauliflower. 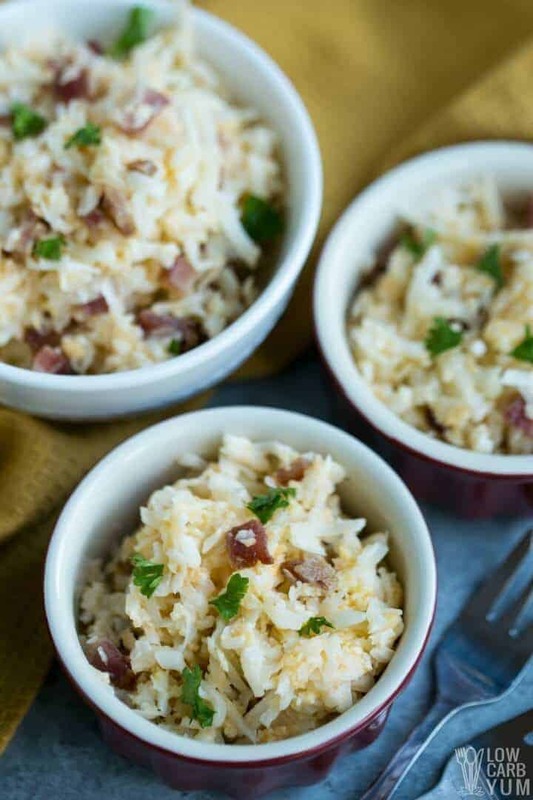 Even if you shred a head of cauliflower yourself, it should take no more than ten minutes to make this cheesy cauliflower rice. That’s because it cooks up quickly in the microwave. 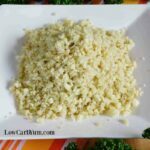 The method I use to cook the shredded vegetable is described in my post: How to Make Cauliflower Rice the Easy Way. Basically, I just pop it in the microwave for a minute in a covered dish. I do add bacon the dish. If you don’t have any pre-cooked on hand, it will take a little while to cook up the strips. I like to bake bacon in the oven so the grease drains down in a baking pan. 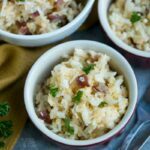 You can certainly leave the bacon out of the cheesy cauliflower rice if you don’t have any. 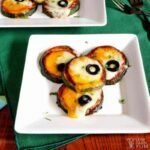 But, it adds flavor to the dish and makes it more of a meal. 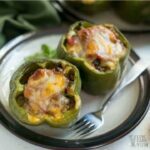 I like to whip this up for a quick lunch using leftover bacon in the fridge. If I don’t have any fresh cauliflower in the refrigerator, there’s usually a bag of riced cauliflower in my freezer. Unfortunately, the closest Trader Joe’s never has the organic frozen cauliflower in stock. So, I’ve been buying the Green Giant version at a local Walmart. 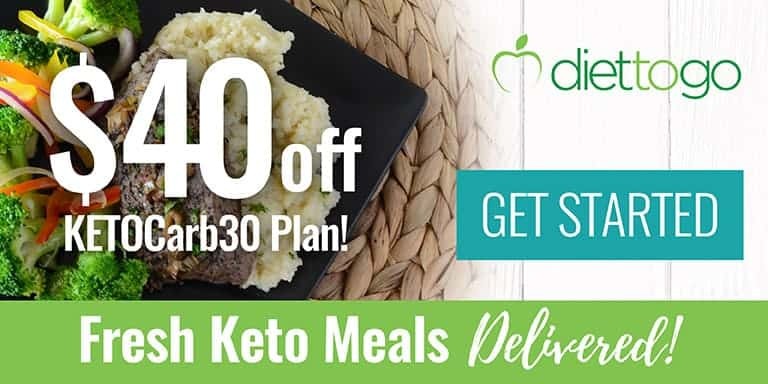 Since it’s so quick and easy to make a cheesy cauliflower rice in the microwave, it’s sure to become a regular “fast food” in our home. And, I’m glad that riced cauliflower is more widely available in local stores. I actually enjoy garlic fried cauliflower rice for breakfast. I used to add eggs to it, but now I’ll add in whatever leftover meat I happen to have in the fridge. The eggs had to go because of my egg white sensitivity. Although riced cauliflower is widely available now, I still prefer grating it myself. It only takes a couple minutes to shred it with the grating blade in the food processor. The other thing is that pre-riced cauliflower is usually sold as crumbles which doesn’t really look like rice. 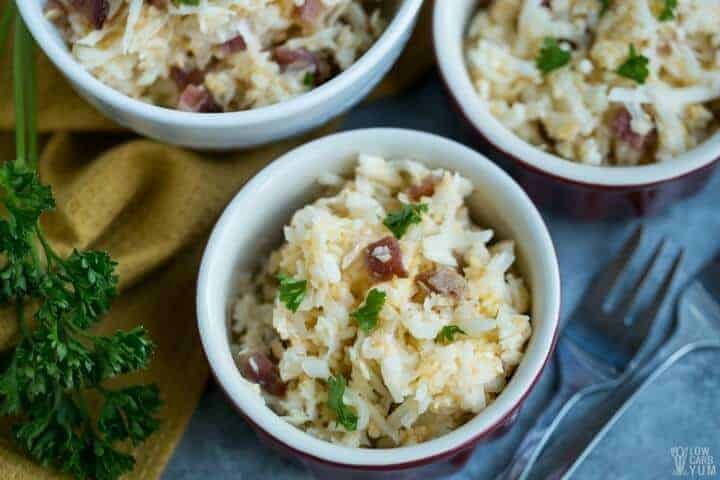 If you grate your own, the pieces do look and feel a lot more like the real thing in dishes like this cheesy cauliflower rice. 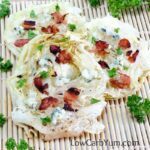 I hope you give this quick and easy low carb recipe a try. If you have your own version or certain ingredients you like to add-in, be sure to share that with us in the comments. 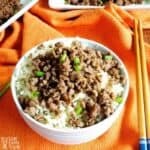 White rice was such a staple for me growing up in an Asian American family. 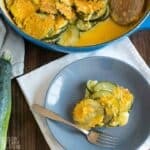 I’m so glad that cauliflower is such a great low carb substitute that’s so convenient to cook up anytime. 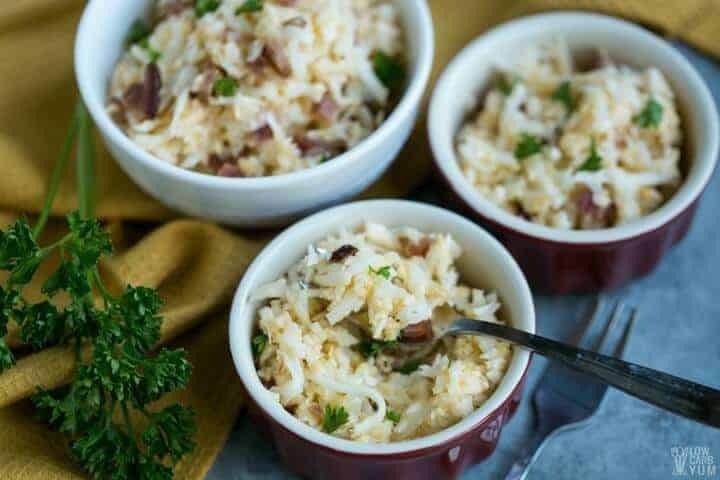 What’s your favorite way to enjoy riced cauliflower? Microwaving it then adding in bacon and garlic is my favorite way to serve it. 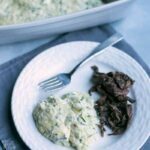 Only five simple ingredients and less than ten minutes are needed to whip up a delicious cheesy cauli rice. 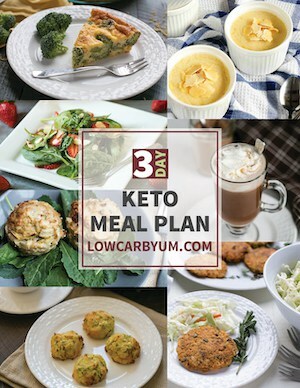 It makes a perfect keto meal. 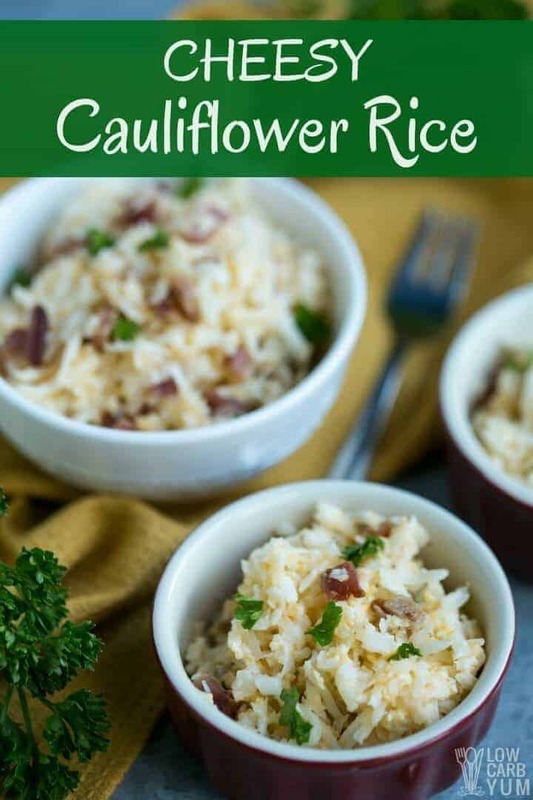 Place riced cauliflower in a covered microwavable dish and cook on high power for five minutes in the microwave. Add in cheese and stir until it's melted. Stir in remaining ingredients. Enjoy!